President Uhuru Kenyatta is now working on eight political approaches and power games that would see the Luo community change their political approach to national politics ahead of 2017 general elections. The first approach is that of being accommodative to the community and their political leaders. 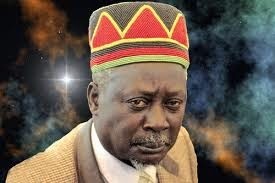 History has shown that the founding President Jomo Kenyatta during his last days in power isolated the community after fallout with his vice Jaramogi Oginga Odinga. When Daniel arap Moi came to power, he also tried to be accommodative and brought back Jaramogi on board when he appointed him the chairman of the Cotton Lint and Seed Marketing Board. He did not last long in the post, presumably because he was still outspoken against Kenyatta’s policies and he too fell out with Moi. Jaramogi later attempted to register a political party in 1982 but when Attorney-General Charles Njonjo amended the constitution to make Kenya a single-party state, his plans were rudely stopped. The Moi-Jaramogi relationship went sour following the failed coup of 1982 against Moi’s government and Jaramogi was placed under house arrest in Kisumu. In 1990, he co-founded and became the interim chairman of Forum for Restoration of Democracy political wing to challenge Kanu. After the first multi-party elections, Moi again isolated Luos until after the 1997 elections when Raila Odinga, then the presidential candidate on the National Development Party ticket lost to Moi coming third after Mwai Kibaki and later joined him through what started as cooperation and later culminated into Raila disolving NDP to join Moi and Kanu. Following the Kanu-LDP merger, Raila and a few of his lieutenants like the departed Job Omino and Adhu Awiti were appointed into the cabinet. It was Moi’s preference of Uhuru Kenyatta as Kanu’s flagbearer in the 2002 elections that made Raila and the Luo community walk out on Moi to join Kibaki through LDP to form Narc. 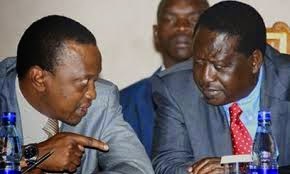 After Narc won, Raila and a his allies were named to cabinet and Luos were once again back into the government until Raila and Kibaki fell out after LDP allied ministers were sacked by the Kibaki regime when they opposed the 2005 constitution referendum. Following the disputed 2007 presidential election results, Raila and Kibaki were forced to form a coalition government where a number of Luos landed plum ministerial and parastatal appointments for five years. For the five years, the Luo community was again back into power until 2013 after hotly contested presidential elections when Raila lost to Uhuru and William Ruto. This again pushed the Luos out of the government and on the periphery of the centre of power. But Uhuru did not give up in accommodating the Luo community despite his power sharing deal with Ruto’s URP at 50:50pc. 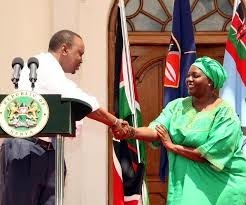 Uhuru went out of his way and donated slots in the cabinet for Luos and Luhyas where Rachel Omamo was appointed Defence minister. Rachel is the daughter of former Bondo MP and former minister Odongo Omamo who comes from Raila’s home area of Bondo. Another appointee from the region is Colleta Suda who was appointed as principal secretary for Science and Technology. 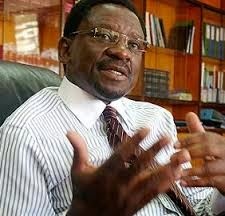 Recently, Uhuru appointed Major Jeoff Otieno ambassador to Egypt. Immediate former Alego Usonga MP Edwin Yinda was also given a political lifeline by Uhuru after he was appointed the ICT Authority chairman while TNA secretary general Onyango Oloo was appointed chairman of Lake Basin Development Authority. 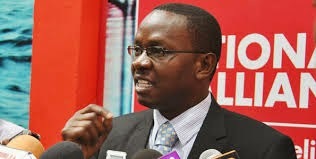 Uhuru’s TNA is headed by Oloo, who is a Luo despite the fact that it is perceived that all Luos are in Cord. At one time, there was pressure to remove Oloo from the seat and it was Uhuru’s intervention that saved him. Those who were pushing for his removal claimed that he could not lead the party yet his people did not bring votes to the party’s electoral basket. The nomination of Joy Gwendo from Kisumu county as a senator is another clear testimony that Uhuru and his TNA party has a future political plan for the community. 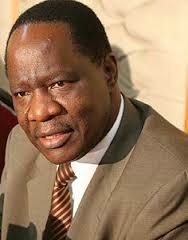 Then there is the appointment of Rongo MP Dalmas Otieno envoy to the South Sudan peace talks. Dalmas and Uhuru friendship dates back to their days in Kanu. To further show how Uhuru has a soft spot for the Luos and its leadership, upon taking over the mantle, there were rumours that he was going to sack all the Luos holding key positions in state corporations. The name that was mentioned frequently was that of Kenya Literature Bureau director Eva Obara. Sources say Nairobi governor Evans Kidero pleaded with Uhuru to spare the Luos holding various positions in the government. The argument was that if the purge continued, it would spark an outcry in Luo Nyanza. Sources say Uhuru is now plotting to work closely with Luo liberals who are also not in very good terms with Raila. The liberals targetted are both politicians and professionals. Former Foreign Affairs minister Raphael Tuju’s presence at the JKIA during Uhuru’s departure to The Hague was not a mere coincidence. 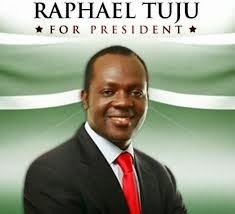 Tuju is known to hold different political ideology from that of Raila and loyalists. During the Kibaki Narc regime, Tuju fell out with Raila and LDP and worked closely with Kibaki, something that made him humiliated during the 2007 general elections. Dalmas who was Uhuru’s buddy during their days in Kanu fell out with Uhuru during the 2007 elections when Dalmas deserted Kanu and joined ODM. He was later to be appointed Public Service minister in the coalition government. The appointments have given Uhuru a political mileage considering that Luo Nyanza voted to the man for Raila in 2013. Uhuru’s game plan is to have his TNA party penetrate Luo Nyanza ahead of 2017 elections and sources say that he is planning to appoint more Luos into plum positions to woo the community. Uhuru is also said to be fronting for the formation of a rival party in Luo politics. He is well aware in the last polls, a number of politicians perceived to be anti-Raila won seats and this to him signifies new trends in the region’s politics. Here Dalmas is Uhuru’s bet. Dalmas has fell out with Raila after he was denied the opportunity to run for ODM chairman’s position after Raila called on Luos not to contest the national positions. To Dalmas, that was being dictatorial and he threatened to pull out of the party and form his own party. Sources now say that Dalmas and like-minded politicians from the region are secretly working on a political plot to register a party that will rival ODM in Luo Nyanza. Sources say the party’s registration papers are being worked on and could be registered anytime. Rumours have been spreading like bush fire that the party is known as Kalausi. It is being whispered that Dalmas’ game plan is to have the party form a coalition with Jubilee in 2017 to ensure Luos are not left in the political cold after the 2017 elections. Those opposed to the new party say it will renew the old rivalry between South and Central Nyanza, previously spearheaded by Mbita-born Tom Mboya and Jaramogi respectively. While wrestling the Gusii vote from Cord using a friendly Simeon Nyachae Ford-People party, the idea Uhuru has is to penetrate South Nyanza. Uhuru is further said to be working on yet another scheme that will see his leadership sideline hardliners from the region that are known to hang on Raila’s coat for political survival. Whereas he has plans to reach out to the likes of Dalmas and Tuju, he is said to have very little time for the likes of senators James Orengo and Anyang’ Nyongo. Uhuru is also not bothered with Raila’s brother nominated MP Oburu Odinga who is known to attack his leadership left, right and centre. Gem MP Jakoyo Midiwo is not in Uhuru’s arithmetic as well as Nyando MP Fred Outa. For political survival, Uhuru is aware that before or after the 2017 elections, there will be a power vacuum in Luo Nyanza and it is for this reason that he has been burning the midnight oil reaching out to the liberals to ensure a person of his choice fills the vacuum. This strategy is based on assumption that Raila is likely to lose the 2017 presidential election if he chooses to run for the fourth and obviously last time or alternatively, Uhuru is aware that Raila is likely not to run in 2017. If Raila does not run, Uhuru’s calculations are Luos will be comfortable in the government that considers them as opposed to be in the opposition wilderness where they have now been longer than the Israelites were in the wilderness. 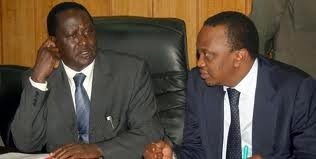 Sources say Uhuru has no personal problem with Raila and the same applies to Raila. Raila’s main problem in Jubilee is Ruto. Those close to him say that Raila has never liked the way Ruto addresses him “yule jamaa” whereas Uhuru addresses him “ndugu yangu Raila”. 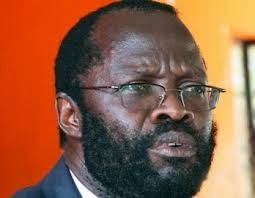 Another strategy is to make the Nyanza region have a real feeling of devolution. Already, the president’s planned tour is the talk of the region. Uhuru is expected to set another record as he is scheduled to hold the first ever cabinet meeting in his Kisumu State Lodge. The cabinet meeting in Kisumu will be the first ever meeting of its kind outside Nairobi apart from Mombasa. Uhuru’s idea is, he is behind devolution and even executive meetings can be held outside Nairobi. The president has been accused of being against devolution. Sources say Uhuru will use the meeting to inspect and commission various development projects and it is expected that the cabinet will make serious deliberations on matters affecting counties funding from the central government. After the meeting, Uhuru is scheduled to inspect and commission a number of development projects in Luo Nyanza, among them the Lake Basin Development Authority projects. Uhuru’s anticipated visit to Nyanza and the subsequent cabinet meeting at Kisumu State House has sent jitters among Cord supporters. On security, Uhuru has already scored after several months of demands by the Kisumu residents to shuffle police and CID officers who had overstayed in Kisumu county. Back to the Uhuru visit, the mood on the ground is mixed. Already, well known groups in the town going by names Baghdad Boys and Chinese are said to have been brought on board to welcome the president. The idea is to avoid what happened in Migori where boda boda operators targeting Governor Okoth Obado disrupted the tour. Obado’s trouble had to do with sidelining leaders who call shots in the county. Nyatike MP Erick Anyanga a close confidant of Raila and his counterpart Mohammed Junnet are kingpins in Migori politics. It is still not known if the postponement of the visit was to allow Raila fly back to the country to accompany Uhuru during the inspection of development projects. 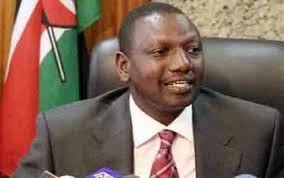 However with Ruto being present together with a number of cabinet secretaries who revolted against Raila in ODM, the possibilities of him attending are nil. It is imperative to note that anxiety has gripped Nyanza region and especially the two Gusii counties of Nyamira and Kisii following heavily financed activities by Jubilee operatives and leaders to herd area residents back to the ruling coalition out of the opposition Cord. The unprecedented political campaign which has witnessed wave after wave of mysteriously moneyed junior Jubilee operatives and often the ruling coalition’s top leaders including the president or his deputy landing randomly at learning institutions, churches, public open play fields and holding various types of harambees and lecturing locals on the benefits of rejoining the ruling party while painting opposition parties and leaders black is creating confusion and fear that those in power could be up to major political mischief. It is this same scheme that is to work in Luo Nyanza and Luhya land come second quarter of 2015. The older folk amongst the alarmed public are even drawing parallels between similar high octane political activities in the country in the mid 1960s that led to the ruthless purging of all the voices of reason from Kanu (like Jaramogi and Bildad Kaggia) which ushered in proper abandonment under founding President Jomo Kenyatta and also similar campaigns in early 1980s that culminated into the enactment of section 2(a) in the constitution that barred multi-party democracy and later the highly unpopular Kanu Disciplinary Committee and the Mlolongo queue voting system. Many question Ruto’s immense sources for such money since he has been the most active and most generous contributor in harambees. But there are also fears that some diehards of the old Kanu order in the executive could be cleverly replaying old tricks like illegally intimidating and corrupting departmental heads in key ministries and parastatals to divert part of their budgets in dubious deals which end up in the pockets of the top Jubilee players who in turn take to harambees portions while they pocket the rest. This later scenario is raising deep fears that the Jubilee administration is actually “Kanu reincarnated”. It is important to note that underneath these maneuvers, renowned YK’92 operatives who wrecked the economy in 1992 first multi-party elections as they fought to retain Moi and Kanu in power seem to be regrouping. Many seem to be happy that one of their own is in the presidency and at the heart of power and could be scheming to control the Uhuruto regime for now secretly and ultimately to take power in 2022. Little wonder ODM nominated senator Janet Ong’era, a notable member of YK’92, was all hysterical in a speech lavishing praises on DP Ruto during the big fundraising in Bobasi, Kisii county. The area deputy governor Joash Maangi is another former YK’92 foot soldier who has quickly joined Ruto’s bandwagon. Many others are quietly joining in. It is not because it could be behaving like Kanu where state imposed corruption on heads of public institutions and extortion from vulnerable private sector players funded harambees which were used for political manipulation but also because crude tricks like wasting valuable time touring the countryside making publicity shows to score “political bonga points” for instance, pretending to commission ongoing or stalled development projects like roads, learning institutions and the likes have become the norm for the president and his deputy, among others in their corner. Pundits are warning that this type of politics of patronage and manipulation is a deliberate obliteration of the country’s political order which may have very far reaching impact in future. However, the biggest scare which is causing jitters and widespread speculation in these affected areas is what political cards are hidden under the table by the presidency and architects of the ongoing anti-opposition campaigns in opposition strongholds; whether they are pulling out old draconian dirty tricks from Moi manuals of political manipulation. It is in the public domain that President Uhuru planned to tour the region. However, the widely publicised October 16 2014 visit was abruptly postponed with political pundits of the view that the sudden cancellation of the long awaited trip had matters to do with security, considering that it is barely a month when the presidential speech was interrupted in the region by a rowdy crowd chanting anti-government slogans. According to senior government officials, the postponement was a request by the Kisumu county officials, to be given appropriate time to ‘plan’. The president is the head of state as stipulated in our law and therefore has all the rights whatsoever to traverse all corners of this great republic. Actually the notion that Kisumu is a hot spot for violence paints the region in bad colour. It even comes after Uhuru pardoned those behind the Migori fracas hence, endearing him to local voters, it is argued. It is claimed that during the Uhuru’s tour of Nyanza’s Migori county in September, goons were hired to disrupt the gathering. Such ugly scenes have very much been common of late with the most recent being the thrashing of Cord leader, Raila and his host, Kwale county governor Salim Mvurya. The September 30 2014 incident left the gathering in surprise when a ruffian who also happened to be in attendance of the well heeded rally to drum up support for Okoa Kenya referendum campaign, and who was identified as Lengo Karisa attacked the duo. He wore nothing, but buttonless tatters in the name of a shirt. How he surpassed the security men and his ‘lengo’ remain a mystery.